Forage is a unique, modern eatery serving delectable fourteen-course meals utilizing an array of techniques from very talented chefs. Though the menu is rotational, past appetizer and small plate options have included black current leaf and frozen tomato, diver scallops with sunchoke puree, Yukon gold potato risotto with pickled garlic and fresh water spot prawn roasted with Indian spices. Forage's popular entrée dishes have included cinnamon smoked duck with root vegetables, anise-scented elk tenderloin, goat with fava beans and green tomatoes and duck egg pierogi. The inventive and decadent meal continues with dessert, such as the carrot cake and salted caramel coolant and the pine nut cake with whipped chocolate. To say Forage is a foodie's dream come true is too simple. 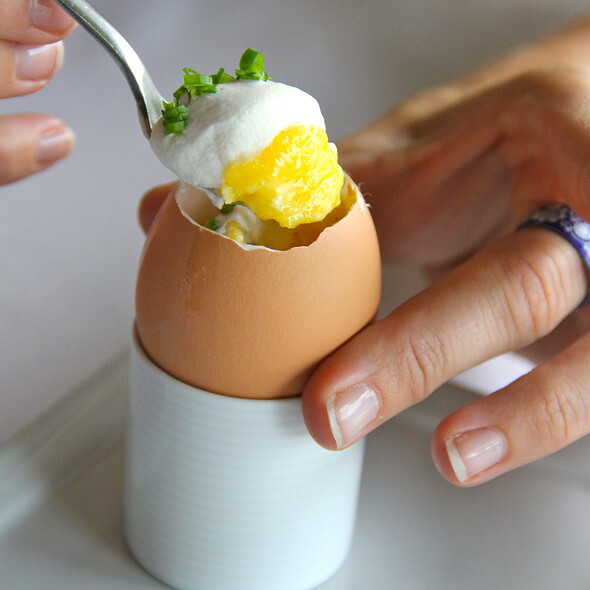 The mix of whimsy and discipline displayed by the chefs helps diners taste the full potential of ingredients. I am sad to see this restaurant closing. I hope they are able to provide a similar experience in their next venture. A most fabulous dining EXPERIENCE. Too bad they are closing this venue....hope to follow them to what ever their next offering ends up as. I don't know why I had never gone here before, and am sad to hear it is closing, but I am hopeful it is a temporary hold. I love the food and the concept, and we should all take time out every now and then for 3+ hour dinners with someone special. Such a memorable experience. The food was amazing. Who thought herb infused broth could change your life! If you enjoy this format of dining, don't miss this gem. I have had truly great food all over the planet, and this has to rate in the top 10 meals of all time. Only went to this restaurant because I had some gift certificates. REAL glad I didn't pay for it out of my own pocket. Way over priced. 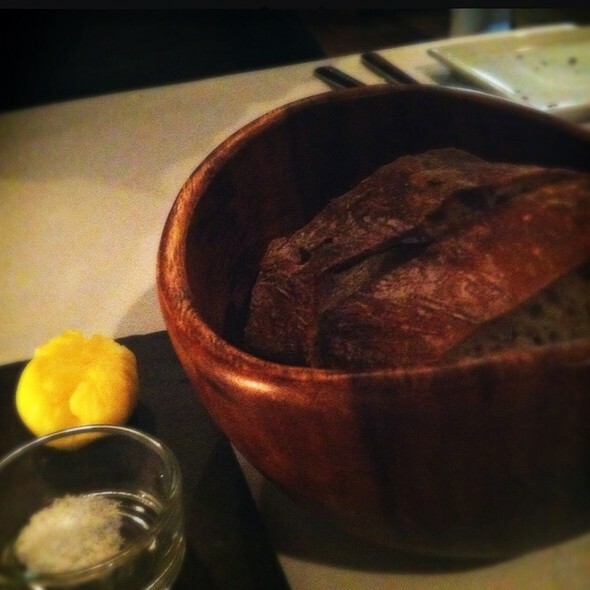 Except for the fresh baked bread, nothing was something that I would crave and have to go there again for. Some of it was downright weird. If you have more money than you now what to do with, and have absolutely nothing better to do, then by all means try this place. Otherwise, you can eat at any number of great places 10 times over for what one meal here costs. The food was unbelievable and after 14 courses my girlfriend and I were full. Although the food was amazing I was probably most impressed by their customer service. It was my girlfriend's birthday and as soon as we walked in the food they told her happy birthday, even the chef came out and said it, and even the preprinted menus said happy birthday at the top. This experience is one I'll be sure to try and do again in the future. I got the 16-course tasting menu, which is the only choice for food, for $89 and the $21 non-alcoholic drink pairing. The food and drink started coming. I was by myself and would have appreciated a faster pace. I was there for a bit shy of three hours, which is faster than they told me to expect. I thought some of the courses were very good and many were interesting combinations but there were also quite a few that I thought were just OK. The main entree was lamb and it was really chewy. The drink pairings were interesting but the portion size was about two or three ounces. Even with the five or six drinks it wasn't a lot to drink. Even though I wasn't that excited by my meal I suspect it's the best restaurant in town and I thought the prices were fair for what you received. The food was super interesting and beautifully served. The flavors were great. We very much enjoyed our meal. The downside was that it took more than 3 hrs. - longer than the 2.5 hrs. they mentioned it would be. I thought that I'd fall asleep before we were finished. Not sure they could cook faster. The tasting menu took over four hours, and we had to ask the kitchen to increase the speed at which the courses were brought out. A few of the courses were memorable, but many were unimpressive. The waitstaff was very nice and professional, but generally I felt the restaurant was overpriced. Waiting for as long as we did between 15 or 17, whatever it was, courses was torturous. We go to Forage every time we visit Salt Lake and the food this time was the best yet. Each dish was unexpected in ingredients but they all worked. The wine list was excellent and not exorbitantly priced. Food, wine, service and ambience were all superb. The quality is Michelin star. Amazing place! Disappointed and surprised that it closed but I'm really glad I got to eat there twice. The leak, pork course was amazing, as were all the others. Found out that that night it had not been offered in all the years it had been opened - completely new! It was the highlight of the evening. It's an art form and I loved the creative process! Loved this place! Chef Bowman Brown is amazing. Easily the best food in SLC, and better than you would find in most places in Philly, Chicago and NYC. Do not go if you are not adventurous. Each of the 15 lovingly prepared, beautifully presented small bite courses was an intriguing and original blend of flavors and textures. 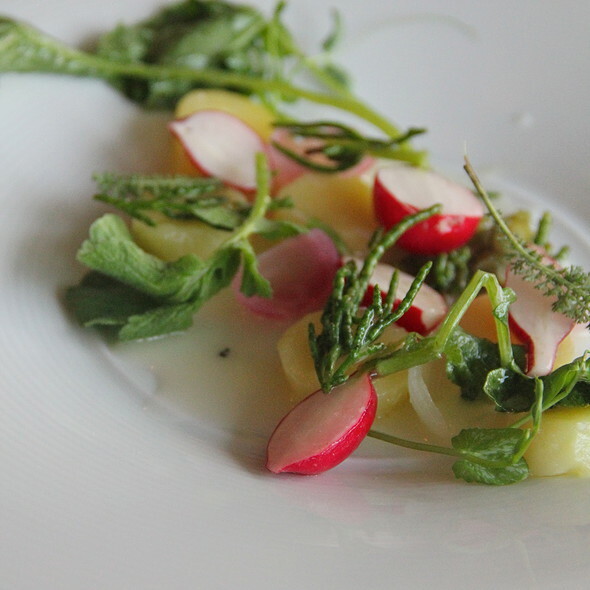 The rich goose broth starter was poured into our cups through a bouquet of fresh herbs to infuse their volatile oils. Tiny rolls of beet leather concentrated the beet flavor, which was set off by a filling of liver mousse. 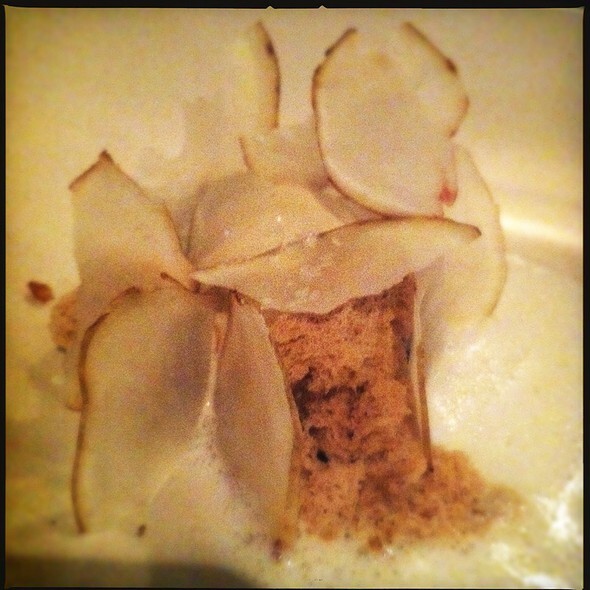 Sturgeon was accented with roe and sour pear. Wine pairings were well chosen. The simple black and white decor accented by art pieces allowed the food to be the focus. This is a top quality restaurant with a passion for what they do, yet friendly and unpretentious. Be sure to experience this adventure in dining. As this was a 15(?) course meal, we understood that it would be a time consuming event; however, four hours was way way way too much time. Each course is impeccably put together and very creative, but the running average was between 15-20 minutes in between each course. With each course being 1-3 bites a piece, that meant you were sitting there for a very long time waiting in between courses. Furthermore, I did the wine pairing with the dinner. All of the wines were paired very well, but the problem was that each wine pour was meant to last you through 2 courses. In addition the pours were about a half glass, so you were meant to make a half glass of wine last for roughly 40 minutes. We ended up having to order an additional glass of wine towards the end because the waiting in between was a little ridiculous. I'm sorry for coming off a bit harsh as we did enjoy the overall experience, but the waiting was really bad. The service was excellent, as was the creativity and ambiance, however they severely need to work on the speed in between courses. This place is delicious and innovative. We loved the presentation of the food, the ambiance, and the service. Splurging on the wine tasting to accompany the tasting menu is also worth it. Can't wait to try this place again during a new season. Such an amazing dining experience. It will challenge your palate to try things that personally I have not tried before. The service is beyond on point and the chefs are amazingly talented. I recently moved to SLC from Portland, OR and have been searching for a restaurant that I felt was GREAT! Well I finally found it at Forage! Not only was it the best meal I've had in this city, it's one of the best I've had in any city, including New York and San Francisco. My wife and I celebrated a special occasion here last Saturday. The hostess called ahead to identify any dietary restrictions and accommodated a last minute change on our part. For this I rated their service as 5 star. We had the tasting menu along with the wine pairings. The tasting menu comprised of 14 courses with the last 2 being dessert. They even gave us a small baked item each as a take away. The 14 courses might sound like a lot but a lot of them a just single bites for example the beet with black currant and spruce and the quail egg and corn (which was an egg dipped in corn flour batter and deep fried). For me the stand out courses were the potato with smoked sturgeon and cabbage and the onion and acorn. The desserts were interesting...frozen evergreen which consisted of lemon meringue, pine ice cream and spruce powder...not typical things that I would think of eating for dessert. We liked the wine pairings that came along with every alternate course. The reason for my low rating on the value parameter was that I walked away slightly hungry and I'm not a big eater by any standard. I didn't mind paying the $89 for the experience and the quality of the food but I'd expect to be pretty stuffed. Overall though I still highly recommend the experience. This is probably the only place around here that is experimenting with molecular gastronomy. I loved my experience at Forage. It's not that every course was mind blowing but it was very fun, inventive, and I loved that each course was served in a unique manner. I wished that the servers would have told us more about each course - why it was chosen, etc. I also had the juice pairing, which while unique I probably wouldn't do again. Portion size is an issue.. (Too small) and the wait time between each course is very inconsistent 5 to 25 min .. Loved our experience. Love the "forage" theme. Unique experience for a special occasion. Expensive, but very cool and worth it. 3-4 hour experience, so don't do it if you are in a rush. I took my wife here for her birthday. It was one of the best dining experiences we've ever had! Each course is a work of art, presented uniquely and well thought out flavors. The wine parings were great too, some of them just clicked so well with the food that it was like music in my mouth. The service is incredible too. I highly recommend this restaurant to everyone! The overall dining experience was great! The service was spot on and every staff member encountered was friendly and knowledgable. The food was good. There were a couple items that we believed were presented too cold. Presenting them at room temp or warmer would have been better (the foe gras cornmeal bites for example). The last dessert course was a bit underwhelming. 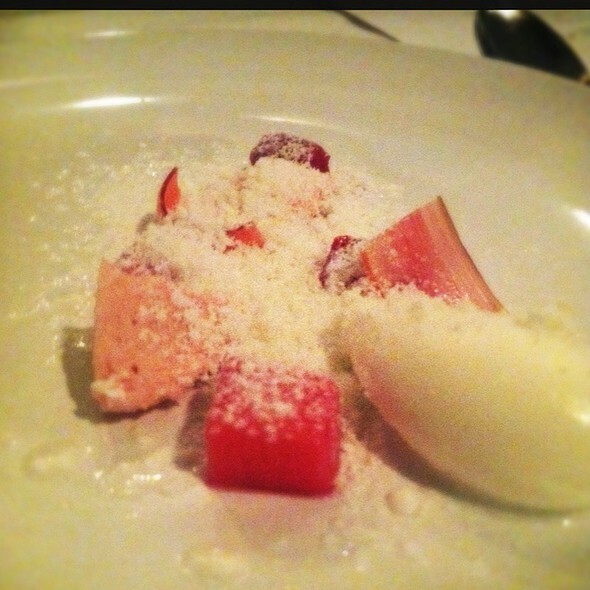 The one before it, however, was the most fantastic dessert I've ever had (it tasted like Christmas)! The food was displayed nicely and the amount of food consumed was perfect! I would definitely return! An almost four hour experience, eating dinner at Forage was was one of the most memorable things I have experienced in Salt Lake City. The tasting menu courses were all finely created and each tasted amazing. The tasting menu was very flavorful and compellingly engaged the senses. Service was high quality. The food was amazing and I love the experience. I couldn't get enough of the dishes and each bite was a journey. I've eaten at several renowned restaurants in the World. Never would I have thought that I would find my ultimate favorite restaurant in Salt Lake City, Utah. After eating at Forage several times, not once have I ever been let down. It has consistency and has always lived up to my extremely high expectations. Upon entry, you're welcomed by the hostess and kitchen staff of 4 where all the magic is prepared. The intimate size of the gray-walled restaurant lets only 25 "food testers" at a time which forces you to stay focus on each well-prepared dish, your companion and impeccable service by the staff. On this tasting menu, each bite size serving contains an element of surprise.Each day, the menu changes which gives you all the more reason to eat here every single day. Price point of this place is on the low end considering the great service and delicious food. Their choice of Japanese inspired serving dishes and natural stone with the combination to use your hands on some of the dishes makes the eating experience more entertaining. The wine pairings work well for those who are wine lovers. If you are vegetarian or a juice lover, you should choose the non-alcoholic drink pairing. These drinks by itself are so enjoyable and will really compliment the food. This restaurant deserves to get 3 Michelin Star. If you're looking for something absolutely unique and extremely special, forage is a perfect intimate dining experience like nothing else in the salt lake area. The menu changes seasonally so there's always something new to try. It's a little expensive but if you're a drinker, the wine pairing is entirely worth the price of admission. All and all a wonderful experience. Despite the price we've been three times in the past few years. And I've never been disappointed. I love this place! Definitely one of my ultimate favorite restaurant in Utah! I have never experienced this level of dining and culinary excellence in Utah before. The price is rather high but it is well worth the experience. It's not just eating to fill your stomach... rather a multi-sensory experience. The fare includes so many things you wouldn't expect to be amazing but you find yourself pleasantly surprised with each course. 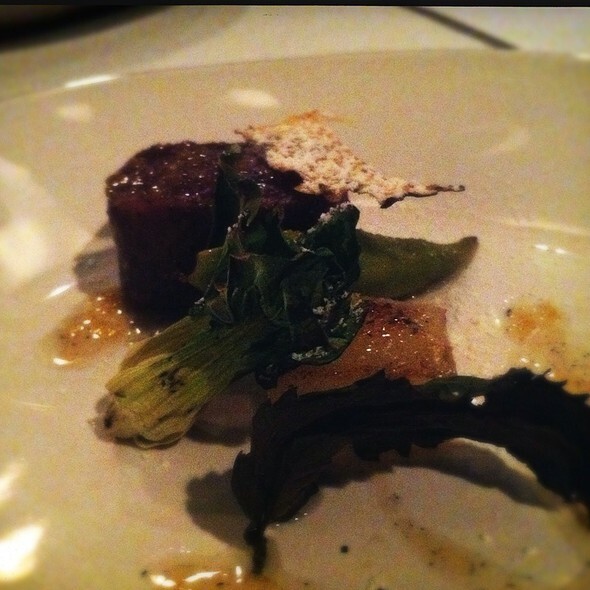 We loved our experience at Forage. The ambiance is both comfortable and elegant, and it is a wonderful place to spend a few hours talking, laughing, and eating amazing and surprising food. Some of the highlights were the first course, described to us as, "apples and the tastes of the forest" and the carrots cooked in oak leaves. We were truly blown away. We ordered the juice pairings, and they were an exciting edition. We were even given tiny loaves of bread for the following morning's breakfast, which gave us something to look forward to. The first several courses were outstanding, as were the last savory course and a couple of the dessert items, but in between it all sort of blurred together without being exceptionally tasty, and much of it was rather salty. A fine restaurant, for sure. and by no means was anything less than good, but while there were quite a number of truly extraordinary items, so I'm very glad I went, for me, it didn't quite come together into what I'd rate as an outstanding meal. Came here for our anniversary and the experience was absolutely perfect. They created a special menu wishing us happy anniversary at the top which was really sweet. The service, the ambiance, the food and the wine pairings were incredible. Each dish was not only visually stunning, but the flavors and textures were perfectly balanced and creatively displayed. I recommend this to anyone looking for a beautiful culinary experience. Incredibly talented chef and staff. I have been to Forage several times, and took my new wife there Saturday night for a celebration. I generally enjoy myself at Forage and Saturday was no exception, the service was excellent, and the food good and expertly prepared. My wife had never been there before, and she loved it. There have been times when I felt the service at Forage was a bit slow, considering the small size of their many courses, but Saturday the service and timing thereof was excellent, and made me want to visit more often. Waiting twenty minutes for a serving the size of two tablespoons is just too much, but they had the waiting time down to about ten minutes on Saturday, which is much better. I will return. Some (but not all) interesting bites, but exceedingly stingy on both food and wine. We do these tasting menus all over the planet, and we have never before experienced such stinginess. 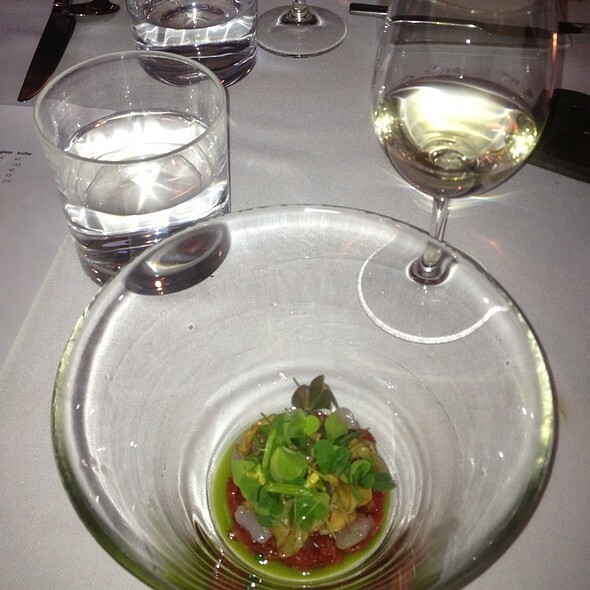 Extremely small wine pours every OTHER course! by the time we upgraded by buying a couple of full pours along the way, we nearly hit $500--come on guys, this ain't French Laundry. Not even close. Come down to Earth and we may see you again. After relocating to SLC from Boston, we were told the only place to quench our foodie thirst was Forage. The reviews were correct. Our tasting items were all prepared with our vegetarian preference in play, without missing a beat of presentation, taste or experience. Wines were well paired, and the raisin dessert wine was beyond savory. The night, for the three of us was nearly $500, and quite frankly, though costly, worth every penny. The staff and their service warranted the $100 tip, and we continue to talk up Forage to others in our circle. It's a once in a lifetime chance to experience a dinning night like this....and we'd recommend everyone do it at least once, even if you don't upgrade wine or juices and stick to the tasting menu on it's own. Overall, we align Forage with Moto of Chicago, but with a Utah flare, warm service, unique modern dining experience, and plenty of memories to cherish until our next return. Certainly a gem, in the dessert of Utah.